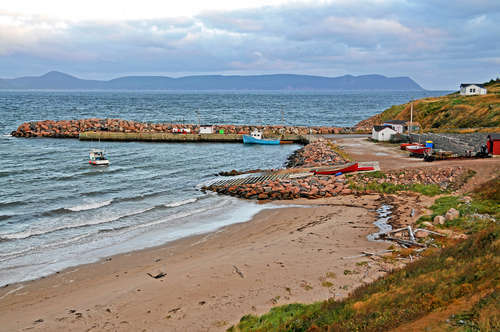 Lobster Murder-Mystery in Newfoundland: What happened to the dozens of dead lobsters? Earlier this winter, a Canadian family was shocked to find dozens of dead lobsters, crab, and starfish washed up on the beach outside their home in Norris Point, Newfoundland. Josephine Chubbs described the scene in horror as the amount of dead lobsters that rolled in with the waves worsened. With no success finding lobsters that were still alive, she knew that something was wrong. Josephine’s mother, having lived in Rocky Harbour for 88 years had never seen anything like it. So what happened to the lobsters? Retired marine biologist, Bob Hooper, said it was the largest concentration of dead lobsters at one time he’d ever seen. Hooper said that due to the big storms the coast had encountered recently, the drastic change in water temperature had froze the lobsters to death. In order for lobsters to grow and live a healthy life the water must be at just the right temperature. If the water is to cold, as seen in the Norris Point beach case, the lobsters will freeze to dead. However when the water is too warm the lobsters lose their ability to breathe and grow. Lobsters can remain happy living in water that is 20 degrees Celsius, anything warmer may cause the lobster to endure respiratory, immune system and shell fish diseases and may have troubles in reproducing. At CSF we keep our lobsters in healthy, controlled environments. Often times the lobsters die in their natural habitats due to climate changes and diseases. This is why our lobsters are caught during the post-larvae stage. Since larvae survival rates are alarmingly low, removing them from the water doesn’t have a negative impact on the environment – in fact, it doesn’t have an impact at all. This is what we call bio neutrality and it’s what we strive for. The larvae are then brought to our farm to live in a natural, safe and sustainable environment. Our lobster habitats have been scientifically created specifically for the lobsters, where we do not add any unwelcomed chemicals or waste into the water—this means the water is clean and pollution free, as it’s farmed on land. When raised on land – lobster populations can be stabilized – and this benefits everyone. If you would like to donate in the future of our fishery and protect local lobster populations or purchase lobster, please contact us here. The Future of Food is Starting to Look Fishy!